At Caliber, we’re proud of our longstanding mission of supporting our nation’s military service members, letting them know we’re there for them every mile of the way. This Memorial Day, we look back on the sacrifice our nation’s heroes have made, and continue our commitment to serving those who have served us. It’s because of their sacrifice that we can enjoy our many freedoms, and we’re forever grateful to our soldiers for their bravery. During Memorial Day and throughout the year, we stand firm in our commitment to our military service members. That's why, over the last few years, in support of our Heroes in High Gear military initiative, our programs, such as Recycled Rides, Changing Lanes, and Military Combine, have continued to restore the rhythm to countless heroes’ lives across the country. Every day, many veterans, active duty service members and families struggle with finding reliable means of transportation. Our Recycled Rides program serves to relieve this struggle by presenting very deserving recipients with newly refurbished vehicles. Over the past five years, the majority of more than 150 vehicles were gifted to active military and veteran families in need throughout our local Caliber communities, and we look forward to donating even more further down the road. The transition from active duty to civilian life can be full of unexpected challenges, and we believe in providing these men and women who have given so much with the keys to a stable and promising career. That’s why we offer our Changing Lanes program – a no-cost, 18-week career skills program that results in job placement opportunities at a Caliber location across the U.S. upon successful completion. We’re honored to have these heroes on our team and look forward to all of the lives we’ll restore together. We’ve teamed up with the Dallas Cowboys to go the extra yard – and mile – for our military service members at our Military Combine. Last year, we hosted active duty soldiers at Fort Hood, near Killeen, TX, as they competed in the same drills found at the NFL Combine. Of those, we chose 50 elite soldiers to advance to the Finals at AT&T Stadium, and even honored one of our top winners during the Dallas Cowboys’ 2017 draft pick. In the game of inches, our support really went the distance as we cheered these service members from the sidelines. 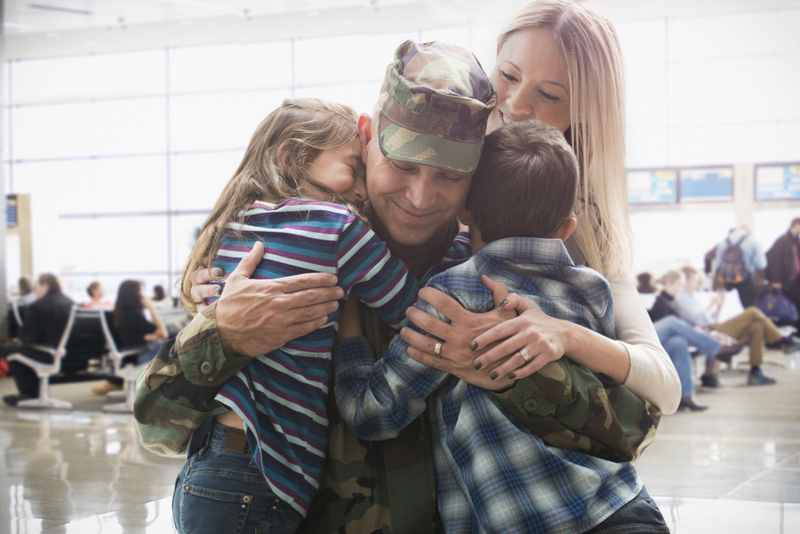 When it comes to finding meaningful ways to honor military members, the average person can feel unsure of where to start. That’s why every year we’re proud to support Carry the Load, a non-profit dedicated to bringing all Americans together to help carry the weight of the sacrifices made by our nation’s heroes every day in practical and meaningful ways. Click here to find out how you can honor a hero today. We’re proud to call our great country “Home,” and are honored to support the military service members who protect our freedom with their incredible courage. This Memorial Day, we remember those no longer with us, and pay tribute to the many who continue to serve today. From all of us at Caliber, we salute your service and are forever humbled by your sacrifice.